If you are easy nervous, seems IT job not suitable for you! The Domain Name System (DNS) is the backbone of the modern internet. The workstation similar a blind people searching the correct pathway in the dark. 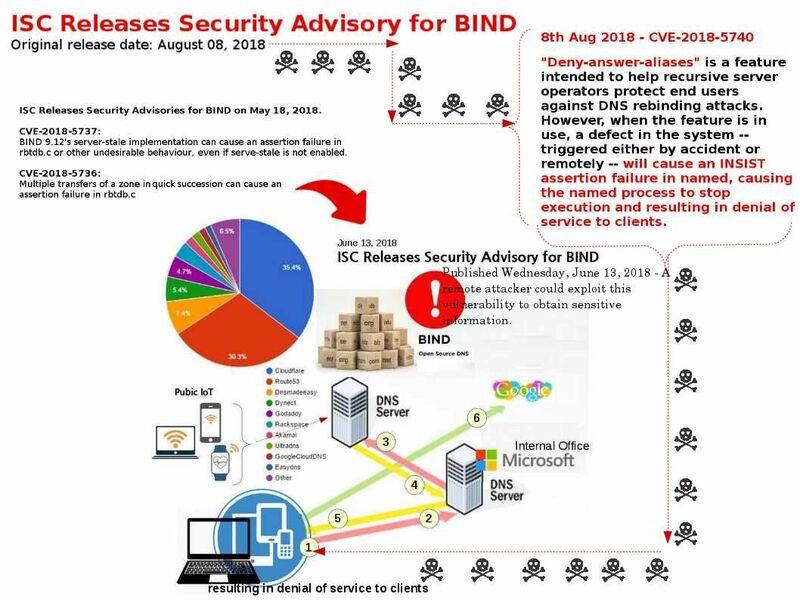 ISC releases security advisory for BIND yesterday. My roughly statistic shown to me that this is the third times within this year! ISC BIND vulnerabilities details on May and June this year.